Can't Beat a Club Sandwich. Let me introduce you to the Style Space and Stuff Club Sandwich, for no particular reason other than I Missed breakfast this morning because we had to take the cat to the vet, and it's now a rather slow Saturday, so I'm playing with my food in the kitchen and trying to think of something interesting for lunch. 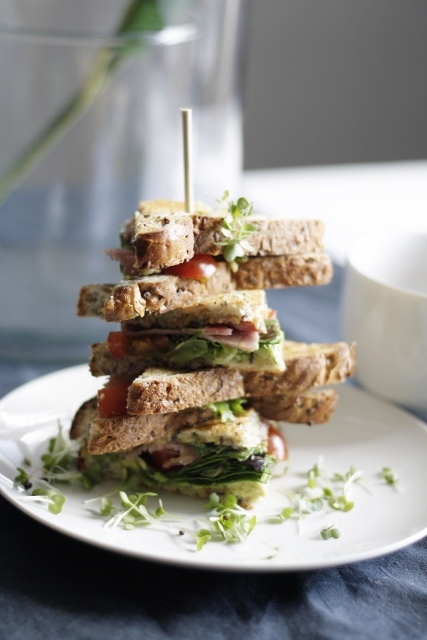 We have brown seeded bread, bacon, a few leftover salad leaves, some sweet cherry tomatoes, and some rather ripe avocado, sounds like the making of a rather good sandwich..... What's your perfect club sandwich combination? 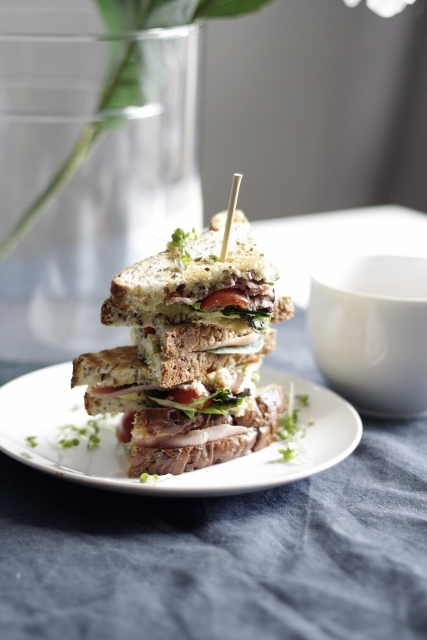 we absolutely love your blog and how even your club sandwiches look great!